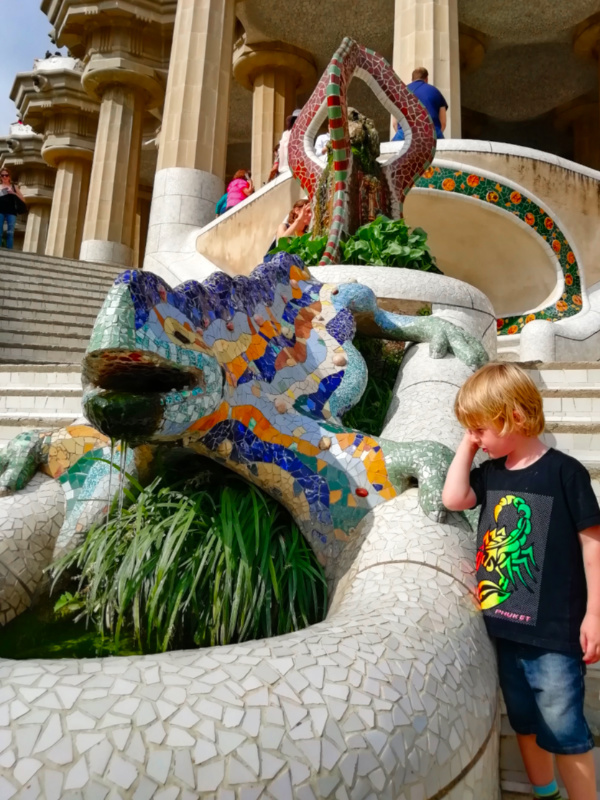 If you are visiting Barcelona with kids then you’ll still want to tick off many of the magnificent Gaudi sites including the wonderful Park Güell. 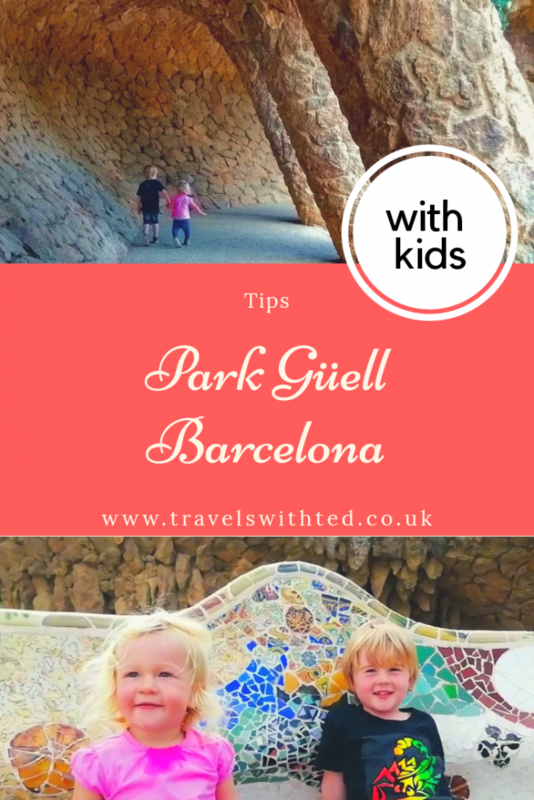 Park Güell is a fabulous place to take kids but as with the Sagrada Familia, it is busy. Hopefully these tips will help you enjoy your visit. I can guarantee you won’t have been anywhere else like it. 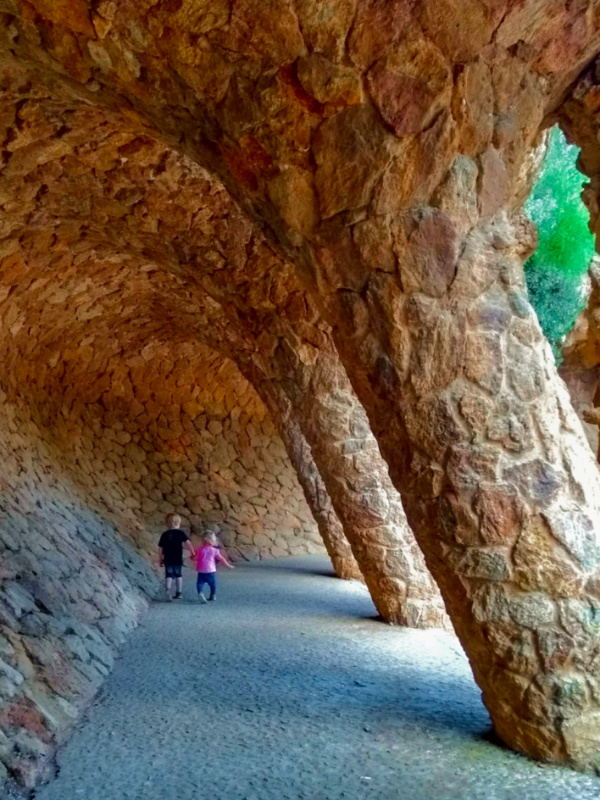 Whether visiting Park Güell with kids or without, make sure you book tickets well in advance. They sell out so getting the date and time your want can be difficult if you leave it too late. My advice would be to book before you leave on your trip via the official website. If you are getting around Barcelona by public transport the best way to get there is on the metro to Alfons X. From here it’s still a bit of an uphill walk but new for this year (and I wish they had had this when we visited Park Güell with kids) your park ticket will give you access to a shuttle bus from the station to the park. The restricted area (the area you pay to enter) only makes up a small part of the park (around 9%). There is a maze of pathways to explore outside the restricted area, including 8 hectares of woodland. These areas offer some fantastic views of the city and the main park area. 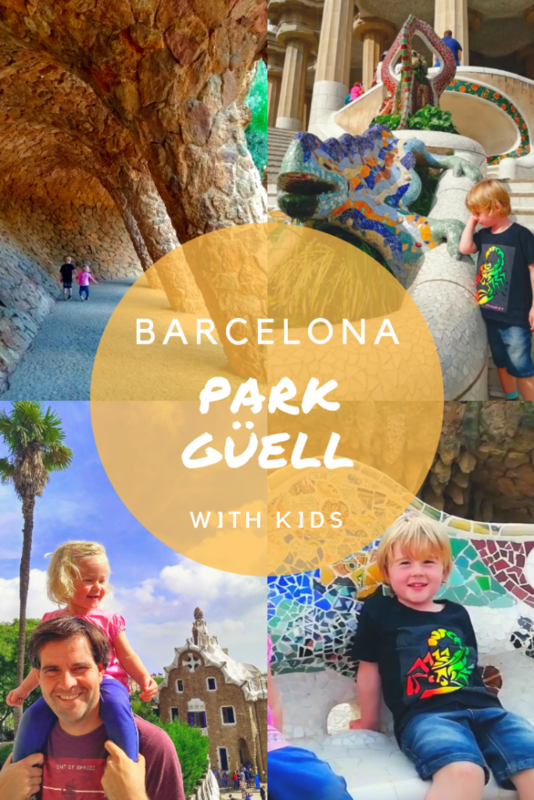 They should have been the perfect place to start exploring Park Güell with kids but unfortunately we visited when they were performing maintenance on many of the pathways so we were unable to get around easily with the pushchair. Although you can get away with just visiting the free area, all the best stuff is inside so I think it is worth forking out for. This includes everything you’ve seen pictures of, the houses, the viewpoint, the dragon and the gardens. Entry to the Restricted area is limited to 800 people per hour. The entry system may seem confusing at first but it does make sense. When you book tickets you are given a time you can enter and an entrance point. Arrive early to scout out your entrance gate before you head out to explore the non-restricted area. It will make things easier when your entry time comes. 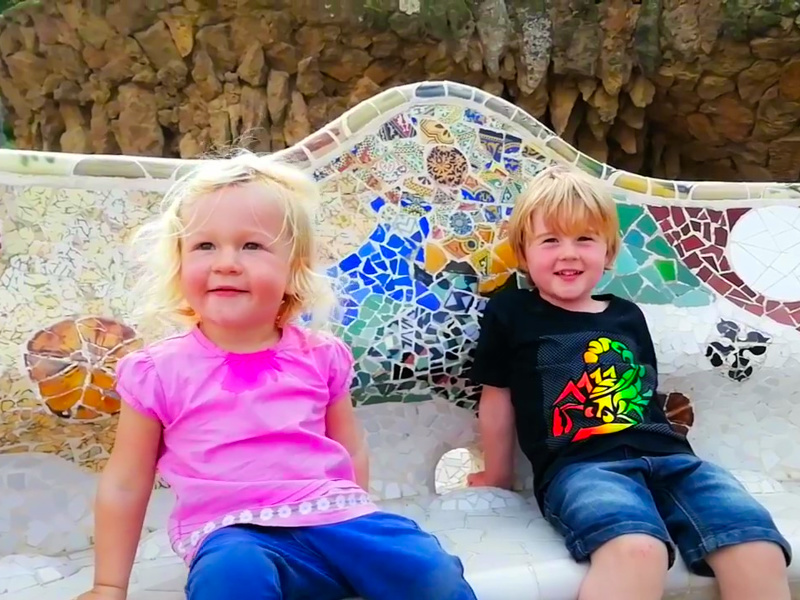 There will be many other tourists eager to explore Park Güell with you. Getting those perfect Instagram shots takes a lot of patience as you will have to wait your turn. 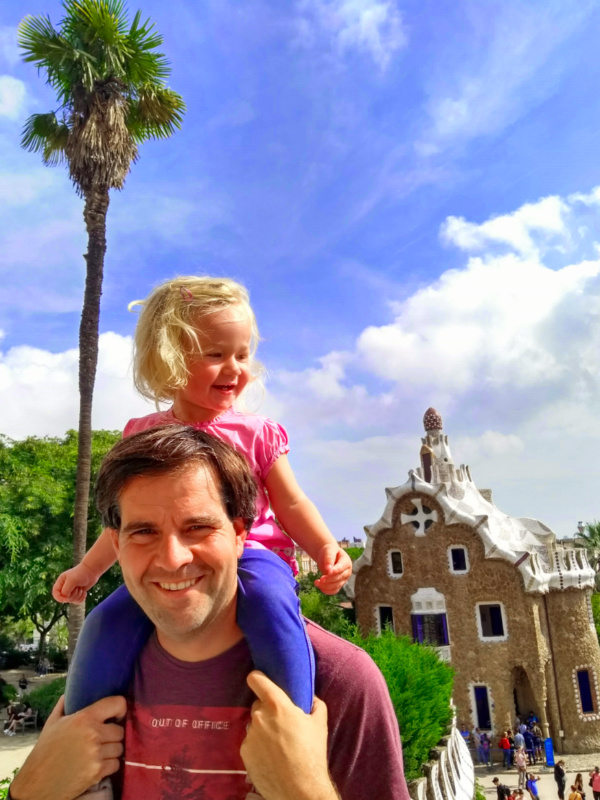 Unlike the Sagrada Familia, there is no play area to get great pictures of Park Güell with the kids playing in the foreground. Keep the kids close and take your time. You are in a park after all. 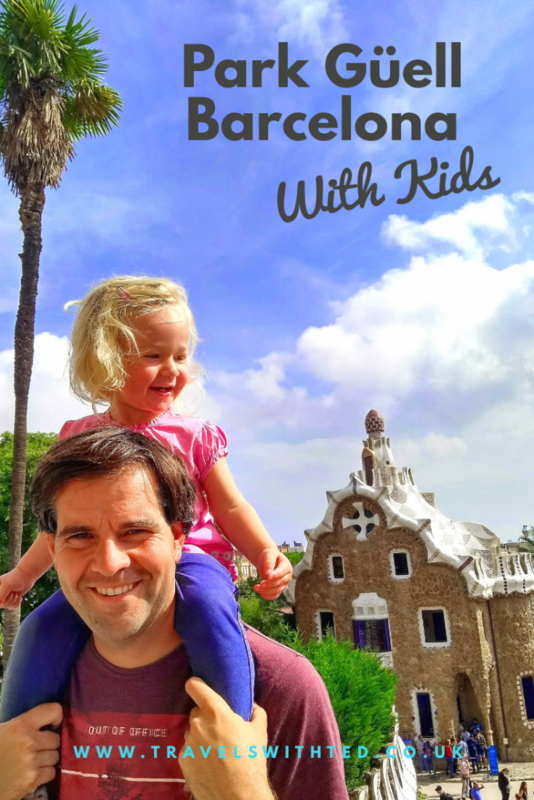 In the less crowded areas Park Güell is perfect for kids to play. The Austria gardens are beautiful and we had great fun among the various columns and on the interesting terraces. Wow! This looks like an incredible place to visit! Love the colors. We loved visiting this park. So great for the kids with the playground, fun places to explore and the beautiful colors.